I thought that Meredeth would enjoy a book filled with the sights and sounds of summer. 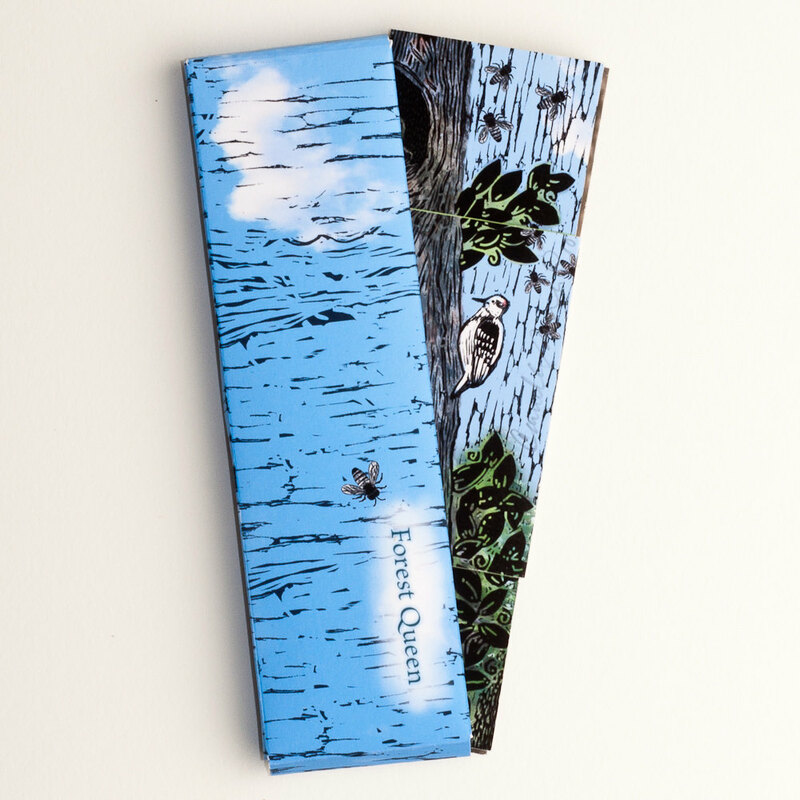 This book called "Forest Queen" was created after I installed my first bee hive and celebrates the restful quiet and the buzz of the summer season. I used a book form I learned from Alisa Golden called a tetra tetra flexion. 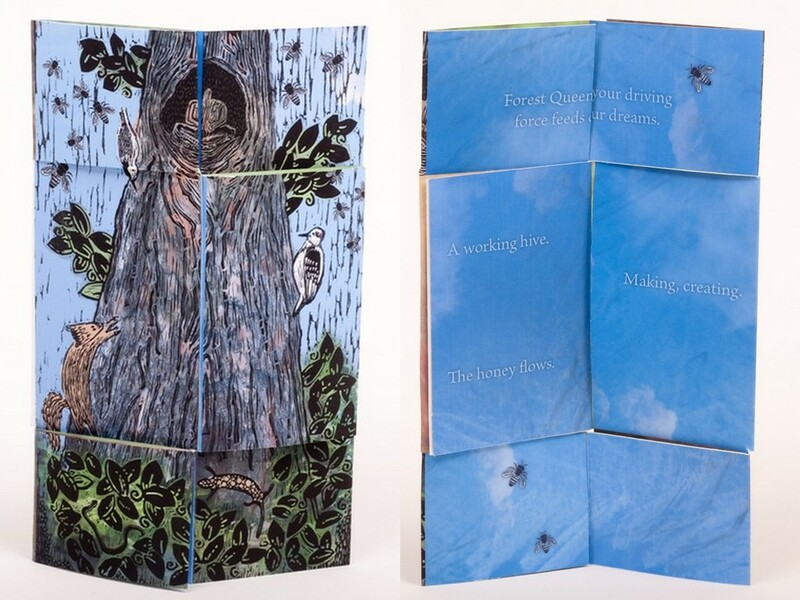 The pages of the book are viewed by "flipping" the book "inside out" from the center fold to reveal four panels. There are two poems in this book, the first is about bees and reads, "Forest Queen-Your driving force feeds our dreams.-Making, Creating.-A working hive.-The honey flows." The second poem is about enjoying the lush wonderfulness of summer and reads, "Footsteps soft beneath your feet.-Birdsong splashes on your face.-Roots flow like skirts from the waists of trees.-An umbrella of leaves opens above your head.-Linger for a while in this refreshing shade." Beautiful! I love tactile books like this that are full of surprises! I am in love with this little book. 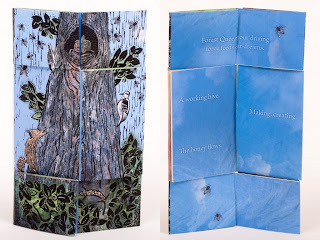 Camille's artist books are wonderful. You said that it's a digital collage - did it start out with a wood cut?